California state officials having broken their promises to end the most brutal aspects of isolation practices in the prisons, a form of mass torture that has drawn criticism from human rights advocates around the world, a large group of prisoners is resuming a hunger strike today. The Peace and Freedom Party endorses the five basic demands of the prisoners, and the State Executive Committee of the party is working on ways to support the hunger strikers, reports State Chair Kevin Akin of Riverside. "The shameful practices continuing in our prisons discredit California, and particularly its governor, in the eyes of the world" says Akin. "Mass brutality, with the intentional infliction of terrible physical and mental torture, is a crying shame. It must be stopped. We salute the incredible courage of the hunger strikers, and will help mobilize support for their cause." To support the hunger strikers, click here to sign Californians United for a Responsible Budget's petition to Governor Jerry Brown and Secretary of CDCR Jeffrey Beard. Make Segregation a Last Resort (p. 14). Create a more productive form of confinement in the areas of allowing inmates in SHU and Ad-Seg [Administrative Segregation] the opportunity to engage in meaningful self-help treatment, work, education, religious, and other productive activities relating to having a sense of being a part of the community. End Long-Term Solitary Confinement. Release inmates to general prison population who have been warehoused indefinitely in SHU for the last 10 to 40 years (and counting). Provide SHU Inmates Immediate Meaningful Access to: i) adequate natural sunlight ii) quality health care and treatment, including the mandate of transferring all PBSP- SHU inmates with chronic health care problems to the New Folsom Medical SHU facility. 4. Provide Adequate and Nutritious Food – cease the practice of denying adequate food, and provide a wholesome nutritional meals including special diet meals, and allow inmates to purchase additional vitamin supplements. 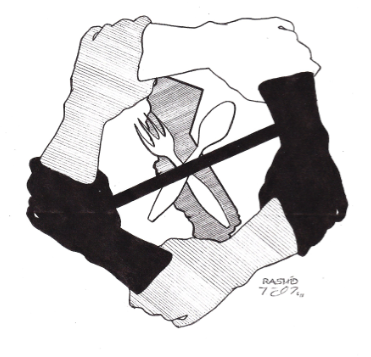 PBSP staff must cease their use of food as a tool to punish SHU inmates. Provide a sergeant/lieutenant to independently observe the serving of each meal, and ensure each tray has the complete issue of food on it. Feed the inmates whose job it is to serve SHU meals with meals that are separate from the pans of food sent from kitchen for SHU meals. 5. Expand and Provide Constructive Programming and Privileges for Indefinite SHU Status Inmates. Allow one photo per year. Allow a weekly phone call. Allow Two (2) annual packages per year. A 30 lb. package based on “item” weight and not packaging and box weight. Allow Hobby Craft Items – art paper, colored pens, small pieces of colored pencils, watercolors, chalk, etc. Allow sweat suits and watch caps. Install pull-up/dip bars on SHU yards. Allow correspondence courses that require proctored exams. Kevin Akin is State Chair of the Peace and Freedom Party of California.